For months now, Google Analytics users have been complaining about referrer spam showing up in their analytics. This is an ongoing problem, still without a resolution. 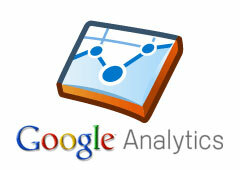 There are tons of complaints in the main Google Analytics Help forum and tons of mentions of it on social media. In the latest Google+ hangout with John Mueller, John said he is aware of it but it is not part of his team. He works with search quality, that issue is on the Google Analytics team. He did say the team is aware of it and looking into solutions but he didn't know much more. Is there a long-term solution to eliminating referral spam? The bot filtering option doesn't seem very effective and the number of ghost referrers keeps increasing. I think this is related to [Google] Analytics where there are all kinds of crazy things happening with the referrers. I know the team is working on something there to make that a little bit easier but I don’t have anything specific to share there. I don’t know what they’ve announced so far, what they’ve posted in the forums. I think there are some options in analytics that you can use to clean this up itself but I imagine it makes sense to have a more general solution on our side for some of these things. This means that the referrers you see in your Google Analytics may be polluted with fake referrers and likely have been for months now.